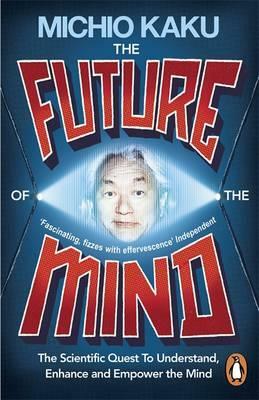 Michio Kaku, the international bestselling author of Physics of the Impossible, gives us a stunning and provocative vision of the future of the mind. Recording memories, mind reading, videotaping our dreams, mind control, avatars, and telekinesis - no longer are these feats of the mind solely the province of overheated science fiction. As Michio Kaku reveals, with the latest advances in brain science and recent astonishing breakthroughs in technology, they already exist. In The Future of the Mind, the New York Times-bestselling author takes us on a stunning, provocative and exhilarating tour of the top laboratories around the world to meet the scientists who are already revolutionising the way we think about the brain - and ourselves. "Summons up the sheer wonder of science". (Daily Telegraph). "Compelling...Kaku thinks with great breadth, and the vistas he presents us are worth the trip". (New York Times Book Review). Michio Kaku is a professor of physics at the City University of New York, cofounder of string field theory, and the author of several widely acclaimed science books, including Hyperspace, Beyond Einstein, Physics of the Impossible, and Physics of the Future.